Journalist turned traveler Sabrina Sabbagh has found a couple of money tips and solutions for traveling the world. WASHINGTON — It’s expensive to spend money anywhere. And you’re always vulnerable to hacks, loss or theft. Cash and credit troubles could ruin an overseas vacation or business trip, but journalist turned traveler Sabrina Sabbagh has found a couple of tips and solutions. 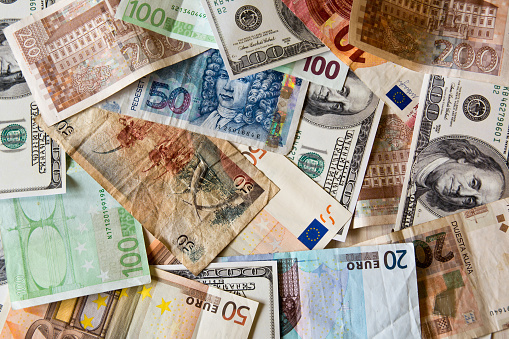 To avoid or minimize international transaction fees, shop around. “I use a Charles Schwab Investor Checking account because it refunds all international transaction fees at the end of every billing cycle. I just transfer money from my normal checking account into the Schwab and use it exclusively for international withdrawals,” Sabbagh said. Another possibility: Chase Sapphire, which doesn’t charge international transaction fees. When you tell the companies where you’re going, include adjacent countries. “A lot of companies across Europe and Latin America are based in another place. If you are trying to make a reservation online, it might ping in a neighboring country and block you,” she said. Take more than one credit card. Your less favorite card may be a pain, but it could bail you out if your primary card is lost or the account is frozen.